In the heady days before the financial crisis, things were looking good for the UK’s finance sector. Between 1970 and 2008 it grew 1.5 times faster each year than the economy as a whole. In 1970 finance made up 5 per cent of economic output and 1.5 per cent of profits; by 2008 these figures had both risen to 15 per cent. This boom ended with the crisis of 2008, when the government committed at least £500 billion to bailing out the banks. But the fallout did not stop there: estimates of the impact of the crisis on the UK’s real economy place the lost output at between $2-7 trillion. Ten years on from the crisis, our economy is still stagnating. It has taken nearly a decade for real household disposable income to recover to levels seen before 2008. Real average weekly pay is lower today than it was before the crisis, making this the longest period of wage stagnation since the 1860s. Productivity has stalled and the UK now produces 13 per cent less output per hour worked than the G7 average. The current account deficit, at 6 per cent of GDP, is a peacetime record. All in all, the recovery from 2008 has been the weakest since the second world war. In the chorus of voices singing about the beneficial effects of the UK’s finance sector on growth, tax revenues and exports, you would be forgiven for thinking that the crisis was just someone momentarily dropping the diamond-encrusted ball. But it has far deeper roots than the regulatory failings that undoubtedly took place before 2007. Both our current economic malaise and the financial crisis itself can be traced back to the changes that took place in the 1980s, which brought about the advent of a new capitalist era: the era of financialisation. To understand financialisation, we must first understand the nature of finance. Finance represents a mode of accumulation–a way of making money–distinct from other modes such as industry or commerce. Rather than using their capital to produce or trade goods or services, financiers use it to create and trade financial assets. These assets generally take the form of a promise to pay back an amount of capital at some point in the future: for example, a share represents a claim on the future earnings of a business. The main financial activities are therefore lending and speculation, and the two are often very closely intertwined. For example, in the run up to the financial crisis, banks would lend money to consumers to buy houses and then turn these mortgages into securities that could be traded on financial markets. These financial activities are often undertaken by banks, but banks are not the only financial institutions that exist in the modern economy. In fact, financialisation involves the expansion of the logic of finance into traditionally non-financial areas of economic activity. Today, households, corporations and governments are engaging in more financial transactions than ever before. Some are creditors, others are debtors, but all are now increasingly interwoven in a web of claims and liabilities from which many find it impossible to escape. 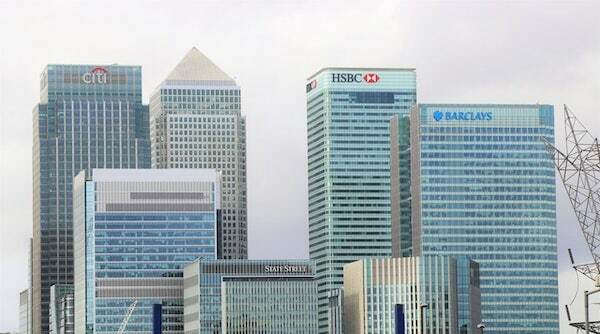 In this sense, we shouldn’t see financialisation as resulting from the dominance of banks over businesses–of ‘bad’ capitalists over ‘good’ ones. Instead, we should view it a mechanism through which all capitalists have adapted their behaviour to a new economic reality. By analysing the behaviour of different economic actors in turn, we can begin to trace the ways in which financialisation has impacted our economics, our politics, and our society over the last 40 years. First, let’s look at households. Household debt has risen from around 80 per cent of total disposable income in the 1980s to over 140 per cent today, having peaked at nearly 160 per cent before the crisis. With real wages yet to surpass pre-2008 levels, consumers are stuck with a huge debt overhang. In fact, the Office for National Statistics recently released data showing that in 2017, for the first time since 2008, consumers’ outgoings exceeded their incomes, with the remainder being covered by borrowing. An increasing portion of households’ disposable incomes is now being directed towards interest payments rather than consumption, increasing the profits of financiers at the expense of economic growth. But rising indebtedness hasn’t been a uniformly bad thing for UK consumers. In fact, by using debt to purchase assets whose values were increasing, many consumers have become incredibly wealthy. This is particularly evident when it comes to housing. The extension of mortgage credit from the 1980s onwards created a boom in house prices, which increased tenfold between 1979 and 2008. While this has shut many people out of the market, it has made others very rich. The proliferation of home ownership, combined with the privatisation of people’s pensions, has created a class of ‘mini-capitalists’ who benefit from their involvement with the financial system. Home owners, and those with private pension funds, needed the pre-2008 boom to keep going indefinitely–and that’s why they carried on supporting the system. Second, non-financial corporations have increasingly become financialised. Since the 1980s, the day-to-day management of a firm has been separated from ownership: corporate executives may own some shares in the firm they run, but financial intermediaries such as hedge funds and pension funds are likely to own a lot more. This has been accompanied by the rise of the idea that managers’ primary responsibility is to ‘maximise shareholder value’ (MSV), generally by boosting a company’s share price. Corporations have a choice between distributing their profits to shareholders or reinvesting them. As part of the growth of the MSV ideology, incentives have been created for executives to distribute money to shareholders now, rather than investing in ways to boost the profitability of the enterprise tomorrow. In the UK, this has driven private investment down to record lows. Low levels of investment mean lower productivity in the future, and this is a significant factor undergirding the UK’s productivity problem. Aside from increasing the amount of money they distribute to shareholders, some very big corporations have also been investing their excess capital not in their own productive capacities, but in financial markets. Some corporations have so much capital that they are now able to behave effectively like banks or hedge funds, taking their surplus capital and lending it to other corporations, or using it for speculation. Others are even lending their surplus capital out to consumers: car companies have been selling cars on credit for decades, and now stores such as Brighthouse are offering similar lines of credit for even small consumer goods. The more surplus capital a company has, the more it is able to benefit from financialisation: the huge stockpiles of cash hoarded by corporations such as Apple and Google have led some to claim that these companies are now more like banks than traditional corporations. Finally, the state has become highly financialised in recent years. The first and most obvious way this has happened is through reliance on private financing. The ideology behind private financing is that, in order to keep a large outlay of capital ‘off the books’, the state will outsource the financing of a project to the private sector. The government agrees to repay the firm over several decades, providing it with a long-term, fixed, and essentially risk-free income stream in exchange for an initial outlay of capital. While it was originally argued that this would be cheaper and more efficient for the taxpayer, the National Audit Office recently found that some projects are costing 40 per cent more than if they had been paid for out of state borrowing. In fact, some have argued that the financialised state increasingly sees its role as creating opportunities for private corporations to profit from public spending: whether selling off RBS or the Royal Mail on the cheap or privatising public services such as the NHS and social care. States increasingly see it as in their interests to undertake these activities because of the discipline that can be exerted on them by modern financial markets. To borrow money, states issue bonds that they sell to investors. Demand for government debt is inversely correlated with yield–the higher the demand, the lower the interest payments. This gives the markets a huge amount of power to discipline states that fail to demonstrate a commitment to creditworthiness. States that fail to implement neoliberal policies can be punished through huge bond sell offs (and through runs on their currencies). It doesn’t matter that forcing them to implement neoliberal economic policy actually reduces their creditworthiness over the long term–the time horizons of financial capitalism are shorter than at any other period in history. The crisis of 2008 was the structural crisis of the financial capitalist model. The economic malaise we have experienced since then results from the attempts to paper over the contradictions of the old model and failure to move onto something new. Households are so indebted that they cannot sustain high enough levels of consumption to consume what businesses are producing. In part because of these low levels of consumption, businesses are failing to invest in expanding output. And states are unwilling to step in to fill the gap for fear of angering international investors. But moments of crisis are also moments of opportunity. Over the next few years we are likely to reach a point at which a majority of voters believe they will benefit more from a transformation of the system than from maintenance of the status quo. Low levels of investment mean declining productivity and stagnating wages, both of which feed into the consumer debt problem outlined above. Anyone who doesn’t own capital–most of the population–will, under our current economic model, get worse off every year for the foreseeable future. Even those who do own capital are increasingly ‘squeezed’. The inability of the system to sustain increases in wealth based on debt-backed capital gains was made painfully obvious in 2008. Late capitalism after the debt bubble has burst means falling living standards, rising inequality and increasing political turmoil as a result. These are the changes that underlie the rise of Corbyn. But the left needs to do more to highlight them. Most people know capitalism is broken, but few people can tell you how. The economic narrative of the current Labour leadership has yet to move beyond ‘austerity is bad’ to a wider diagnosis of the structural conditions that led our economy to collapse in 2008, and which have kept it on life support ever since. The 2017 manifesto was excellent given the constraints under which it was drafted, but it merely represents an extension of the social democratic settlement that is already creaking under the strains of financialisation all over the global north. Next time, Labour must have a manifesto that exposes the ways we have all been exploited by the agents of financial capital and shows how we can subject them once again to democratic control. The left must build a narrative that sheds light on the expropriation undertaken by the financialised capitalist class–the way they exploited debt as a weapon to inflate the value of their assets, knowing all the time that they were inflating a bubble that would burst and destroy the economy. And Labour must adopt a policy agenda that challenges the hegemony of financial capital, revoking its privileges and placing the powers of investment back under democratic control. It is no longer enough to tinker around the edges of the neoliberal settlement to make it look and feel more like social democracy. The imperatives placed upon us by climate change, the rise of the far right and the spectre of another financial crisis require the left to articulate an entirely new economic agenda. And in attempting to save capitalism from itself, we might just be able to move beyond capitalism altogether.